A NURSE who stole drugs from a children’s hospital for her own personal use has been suspended for 18 months. Sarah Lamb was caught stealing codeine and other drugs from her ward at the Sick Kids hospital. An investigation revealed “noticeable quantities” of codeine phosphate had been disappearing for two months. Lamb initially denied the theft in interview but later confessed she had been stealing drugs for about a year, in November 2012. She admitted misconduct at a Nursing ­Midwifery Council tribunal in central London. In a statement the nurse said: “What I did, on both occasions, was very unprofessional and I fully admit I have let a lot of people down. She has a previous warning in 2007 for stealing medication, the panel was told. Speaking at the hearing, ­panel chairman Kenneth Caley said: “Ms Lamb accepts that her actions have brought the nursing profession into disrepute. It is vital that patients are able to trust nurses with their health and wellbeing. “Ms Lamb accepts that by acting dishonestly on multiple occasions she has brought the nursing profession into ­disrepute and damaged trust in the profession. “She has departed from the fundamental tenet of the profession which requires nurses to act with honesty and integrity. The overall seriousness of the allegations demand a finding of current impairment. Her offending took place “over a protracted period” and caused “a real risk of patient harm”, he added. The panel imposed a suspension order of 18 months. In 2012, a Sick Kids nurse who thought she could revive a child by performing chest ­compressions on its stomach was struck off for a string of blunders. Nicola Dodds admitted 14 charges of incompetence and dishonesty at a hearing which judged there would be “real potential for ­patient harm” if she was ­allowed to continue in her job. 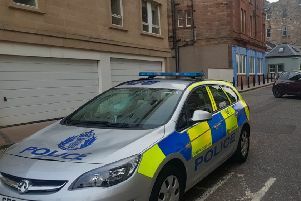 In a practice scenario – involving a child being fed a milk drink and turning blue around the mouth – Ms Dodds began thumping the child in the back rather than providing oxygen and calling for help. When asked where she would apply pressure during a chest compression exercise on a baby doll she pointed to its stomach.